Up-cycle and re purpose! 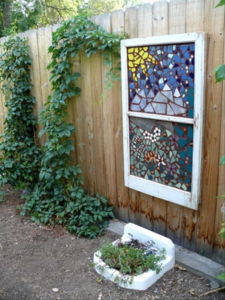 Old windows turned beautiful! 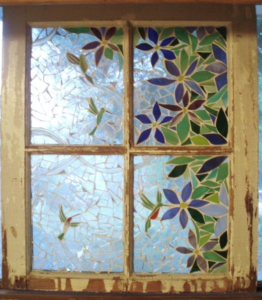 Local artist, Cherida McCullagh, will show you how to salvage old windows and re-purpose them into a work of art with stained glass. It’s always exciting to learn about ideas that re-purpose old stuff. Recycling something you already have handy is always more satisfying than buying it new from the store. This workshop will take place Saturday, October 20, in Dashwood (71044 Bronson Line, Dashwood), from 1:00 – 5:00 p.m. There is a limit of 10 people for this workshop. So email artaroundtownx@gmail.com to register for this workshop, or any other workshops in the Express Yourself series. Adults $60. Youth (15-22) $40. Sign up for all 4 and SAVE! Deadline to register is August 27th! Don’t miss out!